The stage-managed self-attacks by PF on PF in Bwengwa and the Airport siege by PF cadres are a prelude to more to come. With Zambians having vowed never to tolerate the PF murderous campaign of violence, intimidation, arson and other forms of thuggery,president Lungu plans to unleash battalions of highly funded, heavily armed and hyper motivated chamba-smoking PF lunatics across the country to attack non-PF citizens. It is expected that when Zambians hit back, president Lungu will declare a state of emergency which will give him unlimited powers and extend his rule indefinitely. Many lowlifes have been lined to generate sympathy for Lungu on ZNBC by smearing the opposition UPND as the aggressors and PF as victims. This can be seen from how Lungu and his disciples gallantry rose to condemn the fake attacks in Bwengwa but we did not hear them in the Sinda, Ndola and Kitwe attacks. When the now convicted PF cadres murdered Glyzier Matapa, Lungu even joked that Matapa died of drunkenness. To sensationalize the Bwengwa incidence, Lungu has deployed armed soldiers to harass the people of that place. 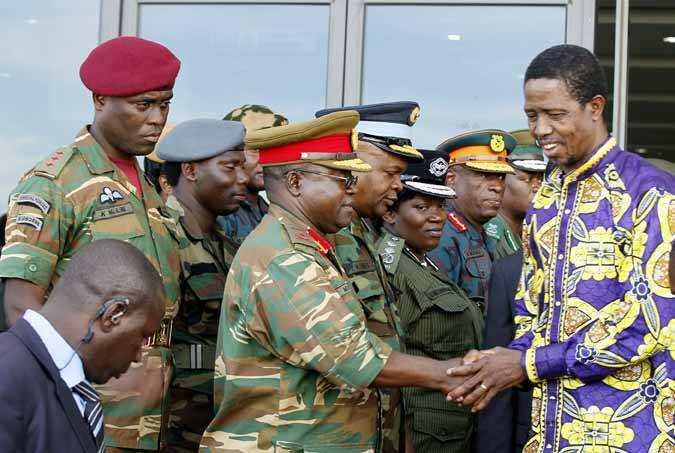 But did Lungu send soldiers to Kitwe, Ndola or Sinda when his cadres hacked opposition members and terrorized the international airport defiling international aviation laws. But people working in Lungu’s office are unhappy with his demagoguery. They are revealing to us every plan of his, even what he says in his dreams.